Pokémon Sun and Moon really changed up the formula for Pokémon games this generation. The removal of gyms and badges in favor of Kahunas and trials left some long-time fans a bit uneasy. However, upon playing the games a lot of players found that the Kahunas and trials were a positive change towards the games core formula. The changes at times are a little quirky, but most of the trials are lined with fun quest-esque missions to finish. The Kahunas are also very fun and fresh leaders. Generally, they play roles within the islands other than standing at the top of a platform waiting for your challenge. While exploring each island and their challenges you will generally run into the Kahunas who wander around doing their own thing and taking care of their people. They are given personality and unique designs like the trial Captains to separate them from the rest of the trainers located throughout Alola. One of the other noteworthy changes is that each trial does not increase the level of traded Pokemon that will obey you, only defeating a Kahuna and finishing up an island allows for stronger Pokemon to be traded into your game and follow your commands. You also earn Z-crystals for your efforts instead of a badge that doesn’t have much use afterward. HMs are also removed from the game and after beating a Kahuna or trial the obstacles blocking your path will naturally move or you will be given a Pokemon to page that helps you traverse future terrain. In the case of defeating a Kahuna a ferry will generally appear to transport you to the next island. As for trials themselves they are usually a weird string of events. These events combine everything from gathering and making food in a forest to matching dance routines on a volcano. Each trial is run by a captain and at the end you will face a Totem Pokemon which will have a higher level of strength than regular Pokemon. You also will not be able to leave a trial for healing once you start unlike being able to heal in between battles at a gym. What do you think of these changes? Let us know in the comments below! 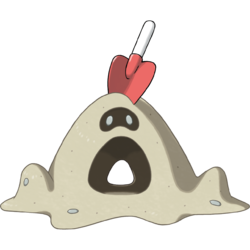 Recently we had a list of five of some of the most stand out Pokedex entries from Pokemon Sun and Moon. Well, we felt that five just wasn’t enough so we grabbed three more to share with you that we felt were some really well-written entries. 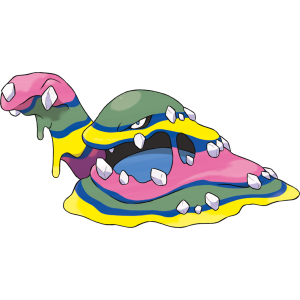 It’s odd to imagine what a nature reserve built to sustain a Muk population would look like, but hopefully the world of Pokemon gets on that soon! 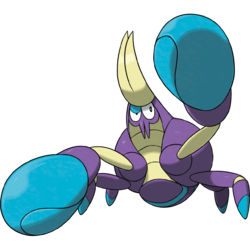 So basically Crabrawlers run around punching things until their hands fall off, and the hands they leave behind are delicious treats for whoever finds them. Slowpoke tails and Crabrawler claws may make a fantastic soup together. So its a Pokemon that uses mind slaves to make it grow and eventually evolve into an even more horrifying monster. Maybe laughing at Sandyghast is a bad idea. So there are three more great Pokedex entries from Sun and Moon. Are there any you liked that we’ve left out? Let us know in the comments below!